Note: The book is available online for free in Html format if you click HERE for the table of content. 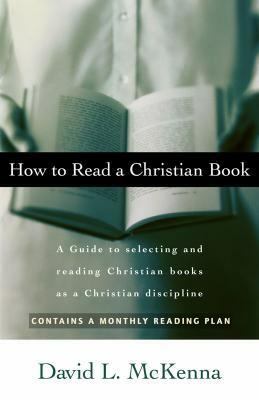 “The highest level of Christian reading is to read for integration, or as Adler and Van Doren say, “to see things whole.” They also refer to this stage of reading as “synoptical,” the idea of looking through a lens and seeing things come together in one picture. Immature readers of Christian books will take one book and view it as the summation of whole truth. More mature readers, however, will hold one book in abeyance until they have a chance to read other sources on the same subject. Then, always looking through the lens of the God-breathed Word, they put different viewpoints into the perspective of the whole, relate the viewpoints one to another, and draw them together into a composit conclusion without sacrificing the truth” (60-61). “A passive reader is like a catcher who never returns the ball, while an active reader is one who fires the ball back in the form of questions that keep the game going and make the event exciting” (58). “For another thing, unless speed-reading results in better comprehension, we will be no better off than the hare in the well-known fable. Like the speedy hare, we may have superior reading speed, but those who take their time like the tortoise will win the race of comprehension. Of course, if we have the discipline to master both speed and comprehension, we will become world-class readers” (68). “If we can improve both the efficiency and effectiveness of our reading, we will get more from all the books we read. Christian books, in particular, deserve a quality read if they are to serve the purpose of helping us to understand the Christian faith and grow spiritually” (57).